Growing up in Springfield, Missouri , and being the son of a physician, left David with the inner drive to help and serve people. Upon graduating in 1977 from the University of Missouri at Kansas City Law School , David made a commitment to take a holistic approach while effectively protecting clients' rights. In his 40+ years experience as a criminal and traffic defense attorney, serving thousands of clients, only a handful of cases required trials. A majority of David's cases are able to be favorably plead out because of his individualized & comprehensive approach in helping his clients solve their legal problems. David's thoroughness with each client makes him a very effective criminal and traffic defense lawyer. 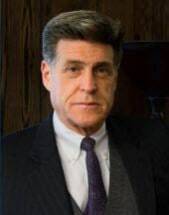 David's training, experience and fundamental belief in approaching each case with total honesty to the client, and attention to each detail with each individual case, has made David one of the finest negotiators in his field, enabling many of his clients to come through their legal ordeals with the least amount possible of negative impact on their records and lives. In addition to David's extensive 40+ years of legal experience and training, he has 25+ years of specialized training in leadership and development - making his communication skills unsurpassed when working toward a favorable disposition with prosecutors and judges.